Throughout its long history, the Academy of Motion Picture Arts and Sciences has honored many fine films. But sometimes, it gets it wrong. 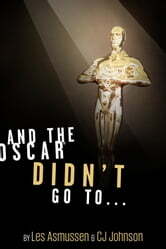 This book is a very funny, light-hearted (but deeply informed) look at Oscar upsets throughout history: who won, who should have won, and the given circumstances, political, cultural and otherwise, contributing to decisions that history has proven wrong-headed. 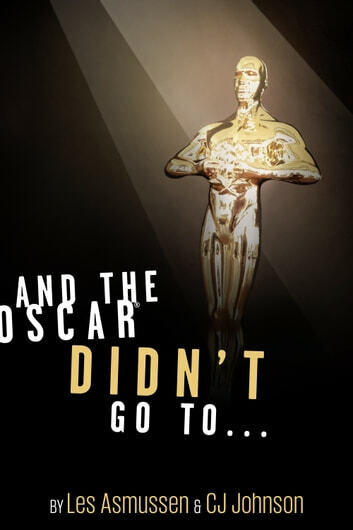 The book begins with the very first Oscar ceremony of 1927/8, when the Academy was still finding its feet and awarding prizes in strange (now defunct) categories, and includes entries covering almost every year, up to and including this year’s Oscars. Along the way, the chronological coverage is interspersed with sections entitled “Special Figures in Oscar History”: stand-alone chapters of considerable depth that examine Hollywood figures who, for reasons we examine closely, were perpetual “bridesmaids” at the Oscars. The book not only looks at the social, political and economic forces contributing to the decisions of the Academy; it also continually examines the state of the Academy, Hollywood, and the movie-going public along the way. It takes in changing public mores, tastes and expectations. Indeed, while being a book about the Oscars, it is also a history of the great films of Hollywood. That said, this is the opposite of a dry book. It is subjective, chatty - indeed, often gossipy - and very funny. Any fan of the Oscars, Hollywood and the movies will love this book.